Elisa, Sadie, and Nathan Bond. That's the beautiful family shown here. Elisa is an aspiring actress, Nathan is a painter and teacher at Parsons. Sadie is two years old. They live in Bay Ridge with their dog Griffin. In February of this year, Nathan was diagnosed with stage III rectal cancer. 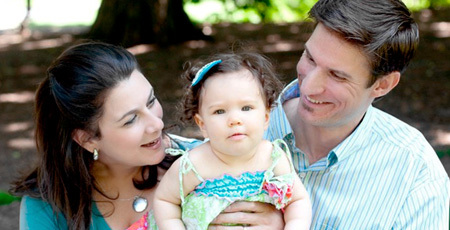 Nine days later, Elisa was diagnosed with stage IV breast cancer. A short video about their story is here. Updates are posted on their blog. Join their family and friends on Thursday, December 15th at The Living Room, 154 Ludlow [Stanton/Riv] for the Team Bond Christmas Benefit Concert, starting at 7pm. Tickets are $20. You can also make a contribution here. 6-8pm: the new-york historical society is now re-opened after a $70mm renovation. pay-as-you-wish 6-8pm fridays (reg $15). sat-sun: the brooklyn flea moves indoors to one hanson next week and it's your last chance to get your grub on at smorgasburg this season. sat-sun 10am-6pm: 500 exhibitors selling furniture, art, clothing, memorabilia, more gather at the pier antiques show and fashion alley + vintage collecting show. plus, appraisals from gary sohmers of pbs's antiques roadshow. 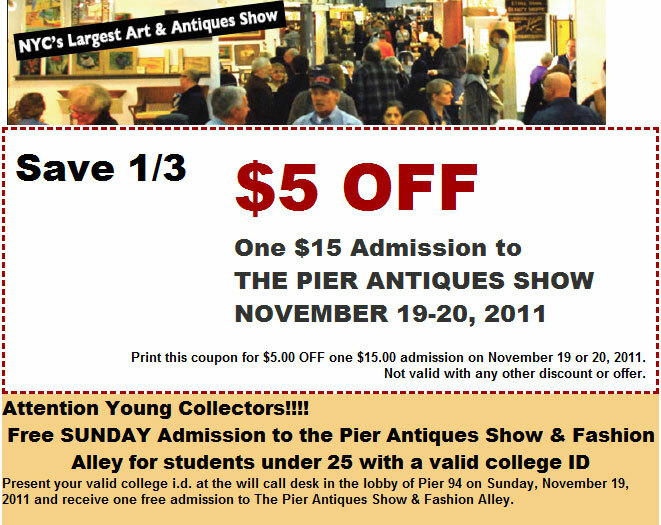 pier 94 (12th ave. @ 55th st.), $10 with this coupon (reg $15). sat 10am-6pm, sun 11am-5pm: save 50% or more on thousands of books, cds and dvds at the 25th annual goddard riverside community center book fair. 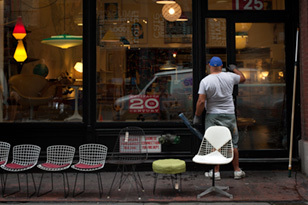 593 columbus ave @ 88th st.